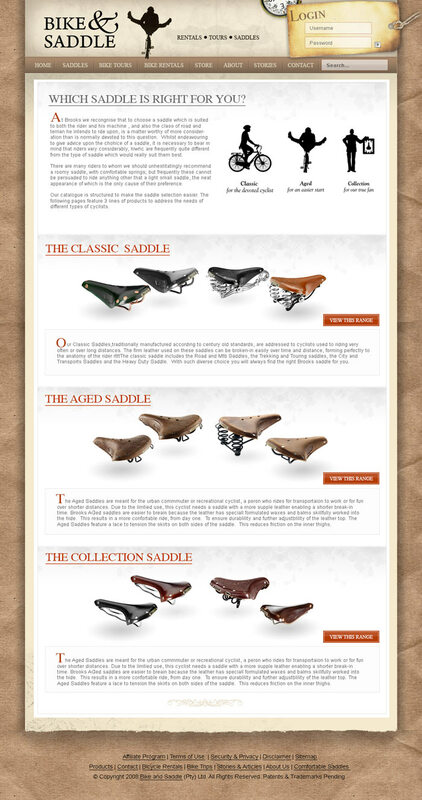 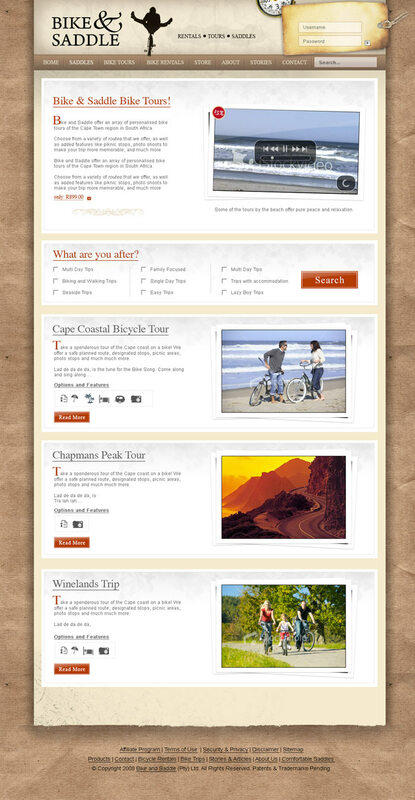 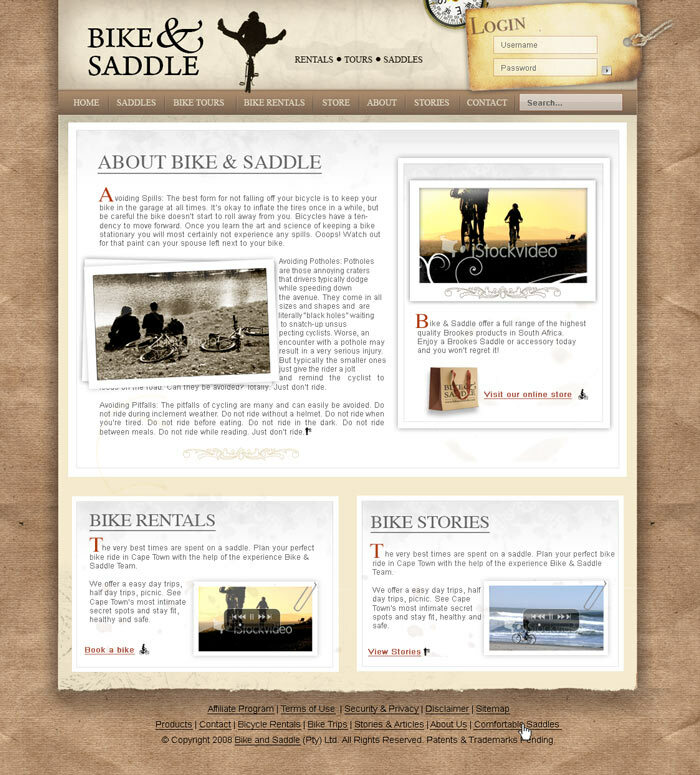 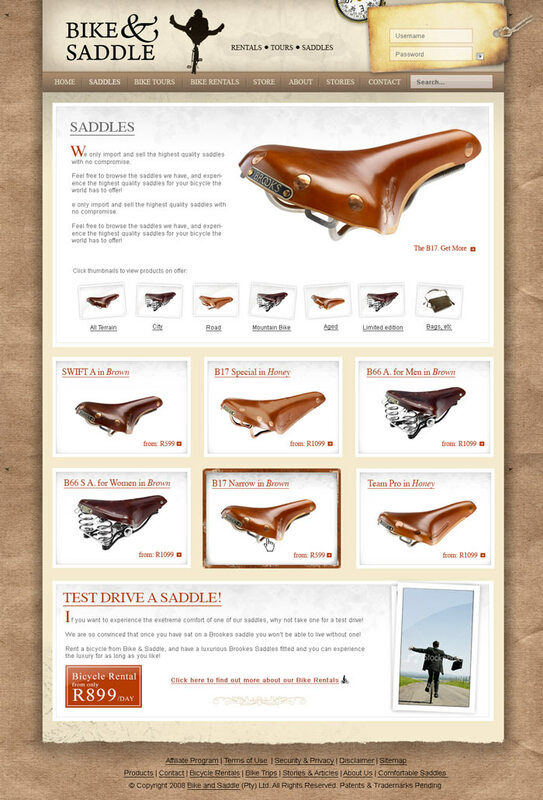 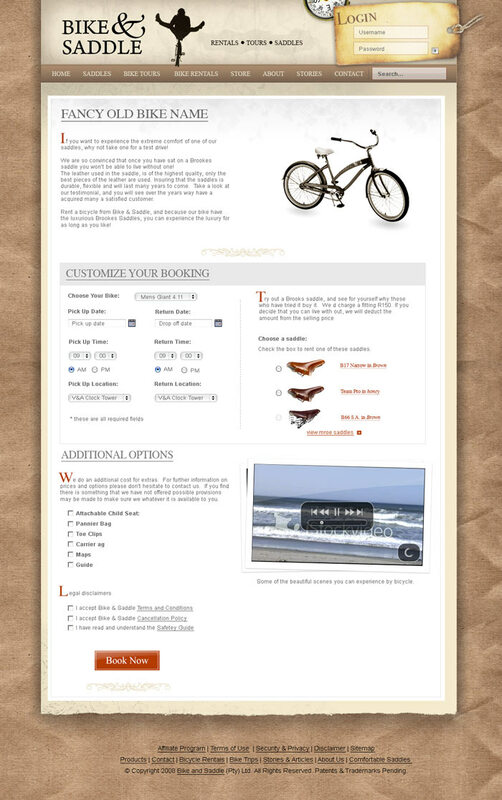 I did the design and development for the initial Bike and Saddle website. 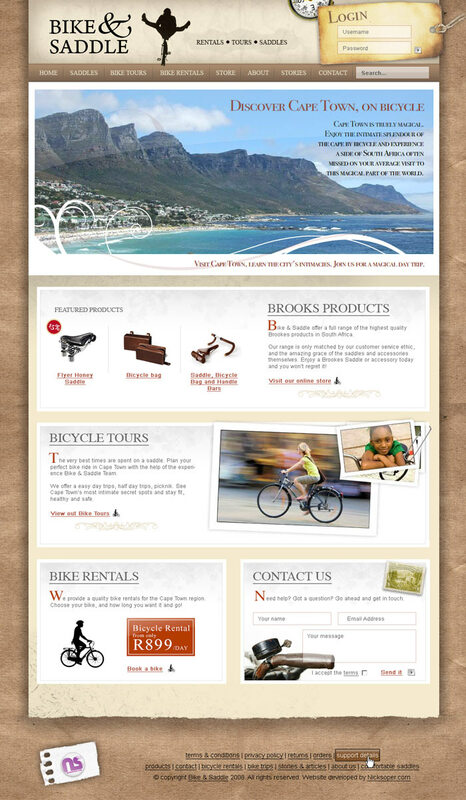 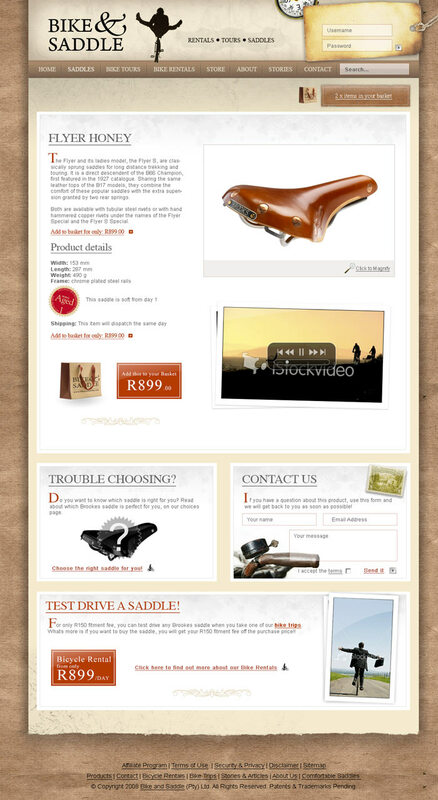 The website was to allow people to book bicycle tours in South Africa and buy Brookes saddles. 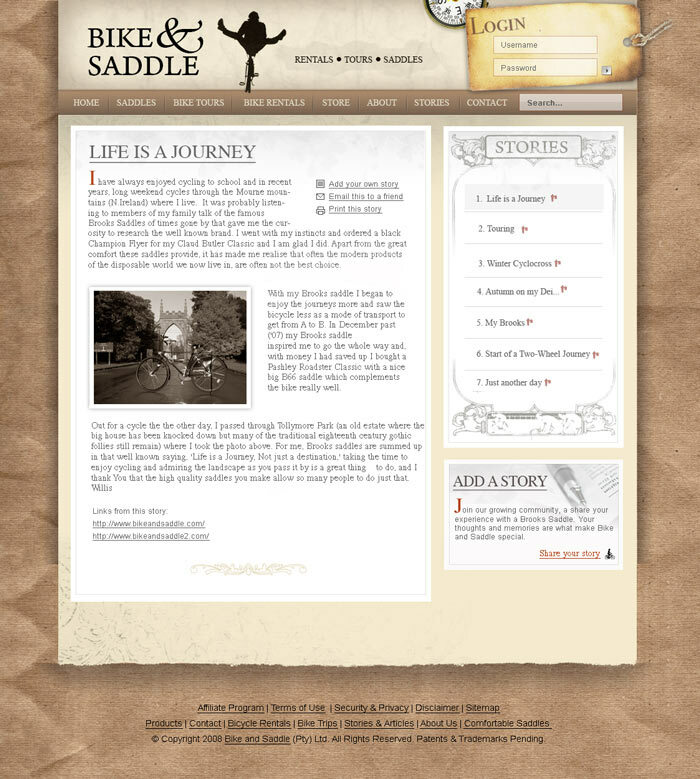 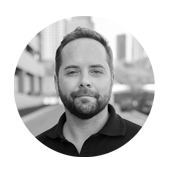 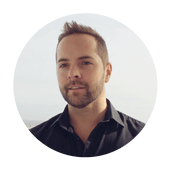 The site was featured on several website bookmarks sites – I am still proud of the designs.